Zeno Clash, Pineapple Smash Crew and Syder Arcade were added to the OnLive PlayPack. The OnLive PlayPack is now at 233 games and counting. Apart from landing in the PlayPack, Zeno Clash was also released to the OnLive marketplace as a PlayPass title. Zeno Clash is priced at $14.99 in the US ($10.49 PlayPack) and £11.24 in the UK (£7.87 PlayPack). Zeno Clash is a first-person fighting game with some elements of a first-person shooter. It was published and developed by Chilean ACE Team. The game uses Valve's Source Engine. The game features innovative close combat mechanics that are a deviation from traditional action in the first-person genre and feel fresh for new and veteran players alike. 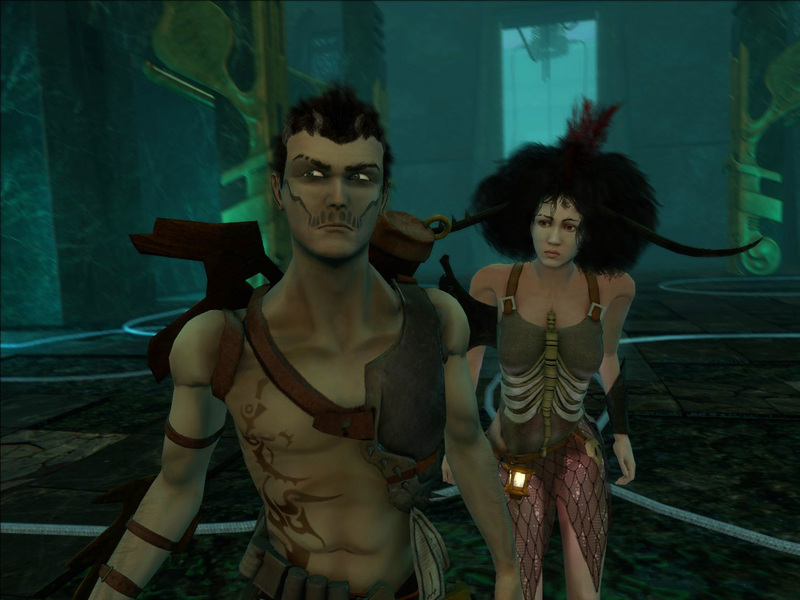 Zeno Clash is set in the punk fantasy world of Zenozoik, a land of exotic places and bizarre creatures. Players take on the role of Ghat, a man who betrayed a powerful clan that is ruling the city of Halstedom by committing a terrible sin. Banished by his own brothers and sisters, he is forced to begin a desperate journey for survival through the forbidden desert and to the end of the world together with his companion Deadra. You can play the free demo and buy Zeno Clash for the US powered by OnLive. You can play the free demo and buy Zeno Clash for the UK powered by OnLive. Pineapple Smash Crew (PSC) is an indie action game published and developed by Rich Make Game!, which is a game developing alter-ego by sole game designer Rich Edwards. - 13 grenade types including: rockets, laserbeam, whirlwind, mine, holo-decoy and tele-frag! - Randomly generated ships, never play two the same! - 4 power-up types: Slow-time, Invincibility, Four-Times-Damage, and Strike Fear! - Access computer logs detailing the notorious 'Wasabi War' responsible for the space-shipwrecks! You can play the free demo of Pineapple Smash Crew for the US powered by OnLive. You can play the free demo of Pineapple Smash Crew for the UK powered by OnLive. Syder Arcade is a multi directional side-scrolling shoot 'em up that nods to old-school classics like Defender or the Uridium games. It was published and developed by Studio Evil. The game is set in a future not far away: the player is called to choose his spaceship and defend the human colony of Miza from an alien threat. Stunning 3D graphics and an electronic soundtrack carry the gamer into six different story levels, through the adventure for saving his planet. The quest can be played in four difficulty levels, trying all the different vintage mods inspired by the arcade gaming era. Quick reactions to variable enemy behavoir are the key to victory, and the focus on bullet patterns is minimal. Built to be old-school, this game is not a bullet hell shmup... This does not mean it will have mercy for you. Studio Evil's first game is born from the team's gaming roots and is their love letter to early 90' shoot ‘em ups for Amiga and PC. It's designed to provide intense bursts of furious arcade action, rewarding player skill and lightning reflexes, just like the old times. 6 ultra challenging campaing levels. 3 different starships with different weapons. 4 Difficulty levels, from easy to impossible! Huge capital ships! Protect Green Ray support ship, support Orinoco cruiser and fight against giant enemies. 20 different retro graphic flavours. Choose among C64, ZX Spectrum, Amiga HAM and many others, and dip into a full old school experience. You can play the free demo of Syder Arcade for the US powered by OnLive. You can play the free demo of Syder Arcade for the UK powered by OnLive.